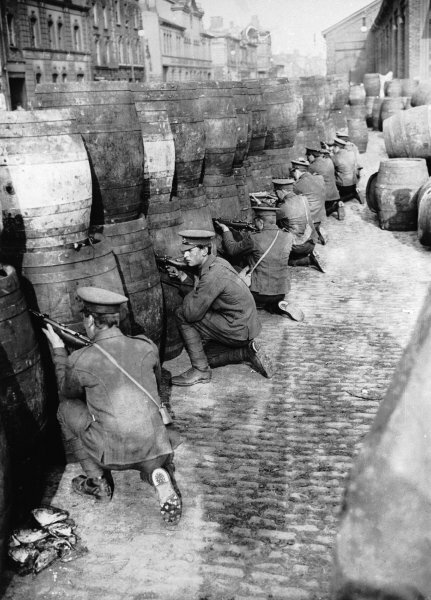 British snipers assume position behind empty beer barrels, Dublin, 1916. Image in public domain. 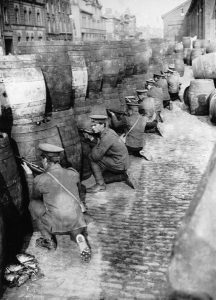 The Easter Rising begins as more than 1,000 armed republicans attempt to take control of Dublin. Their intention is to destroy British rule and create an Irish Republic. The rebellion continues until 29 April and results in almost 500 deaths. This entry was posted on April 24th, 2016.